The basics about Ukraine adoption plus links to helpful resources and adoption agencies placing children from Ukraine in your state. Ukraine is a good option for parents who decide they are prepared to parent a child with special needs, or to adopt an older child or sibling group. According to the Ukrainian adoption authority, the State Department for Adoptions and Protection of Rights of the Child (SDAPRC), the majority of children available for adoption are over the age of five, an/or have moderate to severe special needs. Prospective parents adopting from Ukraine must travel to the country at least once. Adopting parents do not receive referrals from SDAPRC until they are in the country. At that time, they will have the chance to meet the child and examine his or her medical records before deciding whether to accept. Post-placement reports are required annually for the first three years after the adoption, and every three years thereafter until the child turns 18. For up-to-date information, visit the Ukraine Adoption page on the U.S. State Department’s website. 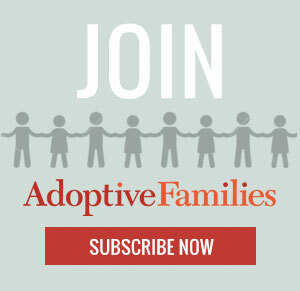 Get parent-to-parent advice and support in the Ukraine Adoptive Families group in our online community, Adoptive Families Circle. Continue reading “Ukraine Adoption Fast Facts” on AdoptiveFamilies.com.